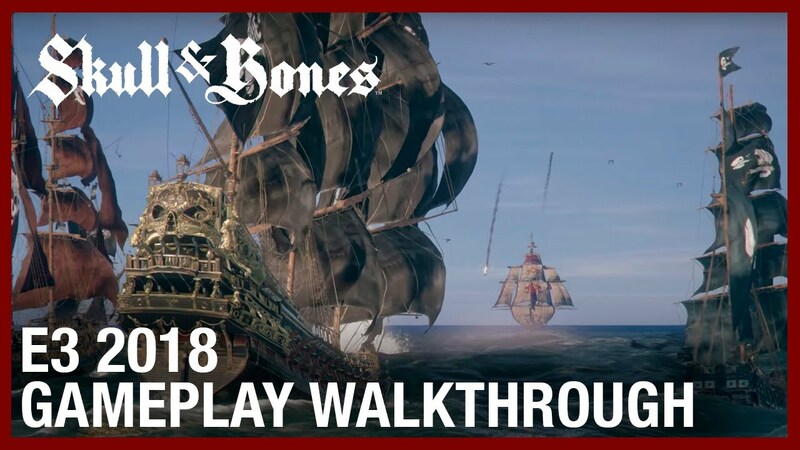 Skull & Bones, Ubisoft’s new online multiplayer pirate game, was shown today at their E3 presentation. The gameplay overview showed off a customization system for ships, along with different classes of boats each with different special abilities. The game will have both PvE and PvP elements, showing players first facing off against a Portuguese frigate, and then fighting over the spoils after the battle had ended. Nothing hugely surprising was shown, the ship combat seems mostly unchanged from how Ubisoft has implemented it in past games. So far it’s unclear how this game will compare to Sea of Thieves, that other multiplayer pirate game that flopped this year. Skull & Bones is set for a 2019 release date.